The Annual General Meeting of Friends of Carnegie Library will be held on Wednesday 18 March at 6.30 for 7.00 in the Gallery. With the current threats posed to the library service throughout Lambeth by the Council’s proposed Cultural Strategy 2020 (see link below), it is essential for the membership to discuss and agree the way forward. please see the posting entitled Campaign News on the Friends website by clicking here. We are looking to recruit to the committee so if anyone is interested in standing a nomination form can be download by clicking here. To see job descriptions associated with the various committee post click here. 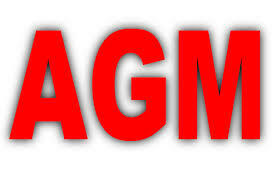 The quorum for the AGM is 20, but considering the importance of current issues, and the high turnout at the special membership meetings of 30 July and 19 November last year, a high attendance will be expected. One of the few things that has kept me going during this nasty spiteful Tory/Liberal government is Carnegie and Minet.